The customer needed to improve their time-to-market and cost-eﬀectiveness in the area of QA and testing services. Mirafra has the the following objectives in these areas. Reduce QA cost and increase proﬁts by adopting various technologies such as Agile. Domain and testing expertise with Center of Excellence. As time-to-market requirements shorten, many organizations are adopting agile development methods especially for new business development projects. With the increased adoption of agile, testing has to support faster software development life cycles and avoid becoming a bottleneck, slowing down the software releases. Mirafra provides a range of end-to-end testing services to help organizations make a seamless transition to an agile environment. The electronics industry is moving into a new era in which the primary product differentiation comes from software applications—and design tools and methodologies must adapt. 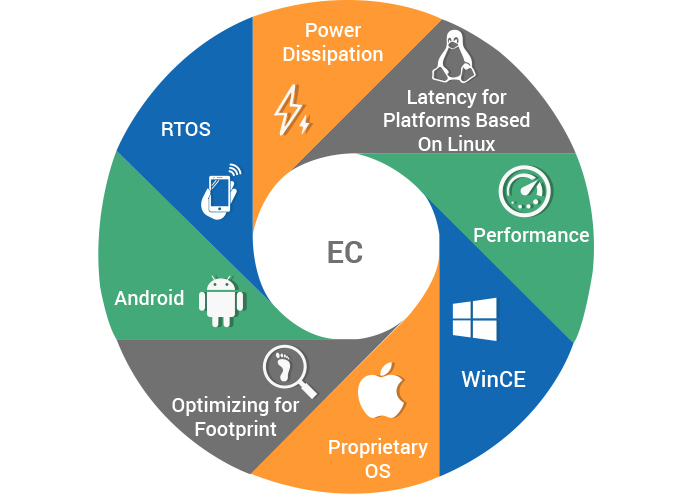 Chip development companies must increasingly provide hardware/software platforms ready for applications deployment, and to do so in a cost-effective manner, they need a suite of integrated, concurrent hardware/software development platforms. So far, existing solutions have been proprietary, fragmented, and non-scalable, with migration between platforms often taking months. As a result, 50 percent of the overall development time can be spent in system integration and bring-up. The use of platforms as a basis of software development has been a key strategy in every segment of the computer industry—from mainframes and minicomputers to PCs and tablets. Software platforms are also the basis for smartphones and became the key factor giving smartphone leadership to Apple and Google Android. Software platforms are also growing in importance in the auto industry and are especially important for infotainment. Mirfra’s Embedded Platform Engineering services span hardware/board design and overall system design, BSP/device driver development and operating system bring-up. This offering along with other Mirafra offerings such as silicon design, validation and verification and connectivity create a very powerful combination and this can greatly reduce time-to-market and product development costs. These days the the software systems are increasingly exposed to sophisticated malicious attacks that exploit inherent vulnerabilities within application, database and infrastructure software. In-house development teams are often faced with stringent delivery timelines and they either overlook or lack the expertise to address software security issues, leaving systems vulnerable to malicious exploits. With an increasing number of IoT devices, there is a critical need to protect these systems from attacks. Mirafra helps to secure these devices, including smart thermostats, home automation devices, TVs, smart appliances, medical devices, routers, and car ‘infotainment’ systems. 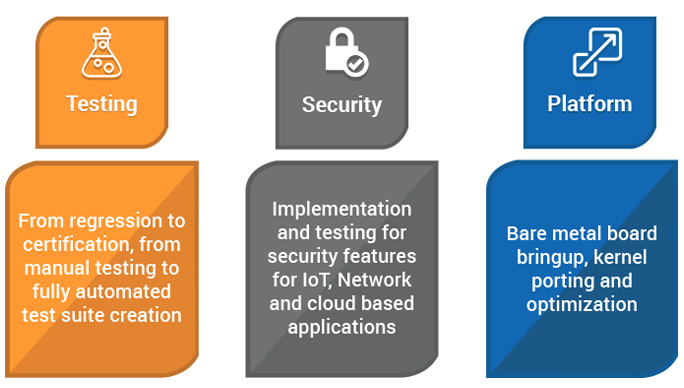 Mirafra Software Security practice focuses on on identifying security bugs and design flaws across the software development life cycle.Mirafra also help clients with validation, developer training, and the identification of the root causes to prevent vulnerabilities from reemerging. PMO is the planning, organizing and controlling of resources and manpower to achieve a desired outcome or a specific goal. Anything that involves a defined beginning and an end and is usually time and money constrained is called a project, and to ensure the smooth delivery of this project you need PMO to follow basic project management principles,The responsibilities of the PMO can range from providing project management support functions to being responsible for the direct management of a project.